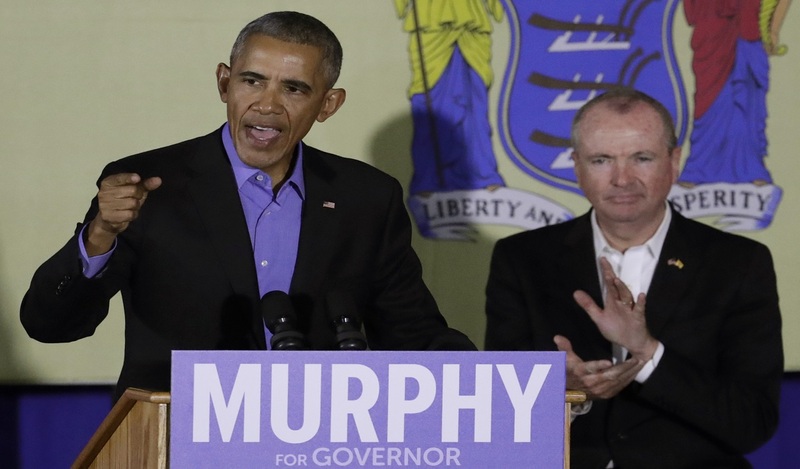 Former President Barack Obama, left, speaks during a canvassing event for New Jersey Democratic gubernatorial nominee Phil Murphy, right, Thursday, Oct. 19, 2017, in Newark, N.J.
Former President Barack Obama called on fellow Democrats to reject politics of "division" and "fear" while rallying on Thursday at the side of his former ambassador to Germany, who is running for governor in New Jersey. Obama did not mention Republican President Donald Trump in his speech while standing next to Democratic nominee Phil Murphy, but he told the crowd at a Newark hotel that "you can send a message to the country and you will send a message to the world that we are rejecting a politics of division. We are rejecting a politics of fear." "Some of the politics we see now we thought we put that to bed," Obama said. "That's folks looking 50 years back. It's the 21st century, not the 19th century." The event marked the first time the former president stepped back into the political spotlight since leaving the White House in January. He was scheduled to appear in Virginia later Thursday to rally support for Democrat Ralph Northam in his gubernatorial campaign against Republican Ed Gillespie. Both Virginia Gov. Terry McAuliffe, a Democrat, and New Jersey Gov. Chris Christie, a Republican, are term-limited. Those Nov. 7 races will be considered a bellwether of Democrats' strength in the face of Trump's victory last year. Murphy is running against Christie's lieutenant governor, Republican Kim Guadagno. Guadagno's spokesman, Ricky Diaz, suggested it's Murphy and not Republicans who are divisive. "Phil Murphy is the one who will divide New Jersey by raising taxes so high that only the über rich like him will be able to afford to live here," he said. Obama's appearance should serve to unify Democrats, who are out of power in the federal government and in most statehouses across the country, experts say. 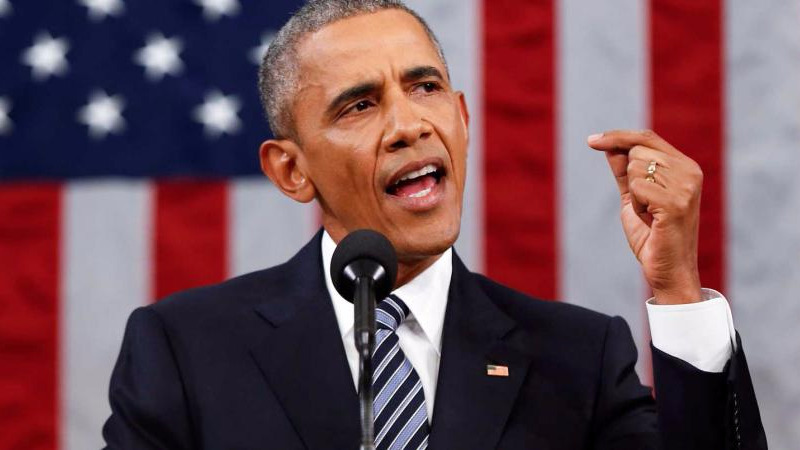 "I think Obama also is a reminder to Democrats of all stripes — left, center — that there was a time when Trump was not here, sort of the nostalgia of the pre-Trump days," said Seton Hall University associate political science professor Matthew Hale. Obama's popularity is still undeniable. In an August NBC News/Wall Street Journal poll, 51 percent of Americans said they have a favorable opinion of Obama, while 35 percent had a negative opinion. In the same poll, 36 percent said they had a positive opinion of Trump and 52 percent had a negative opinion. Obama never completely disappeared from public life, in part because of Trump's constant criticism and efforts to undo much of Obama's legacy after eight years in office. He has publicly defended his policies that Trump and the GOP-led Congress have set out to dismantle: the Affordable Care Act and the Deferred Action for Childhood Arrivals program, or DACA, which allowed immigrants brought into the country illegally as children to be temporarily shielded from deportation. 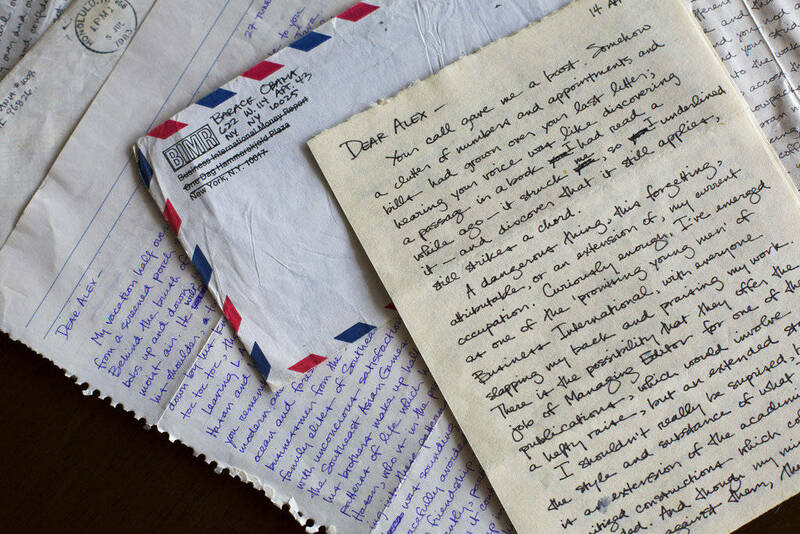 Obama was forced to return "pretty quickly," presidential historian Julian Zelizer of Princeton University said. "The current president has changed all the conventional assumptions about what to do," Zelizer said. "There is a sense of urgency that makes this moment different than others and former President Obama has continued to be directly in Trump's line of fire — both his policies and his legacy."